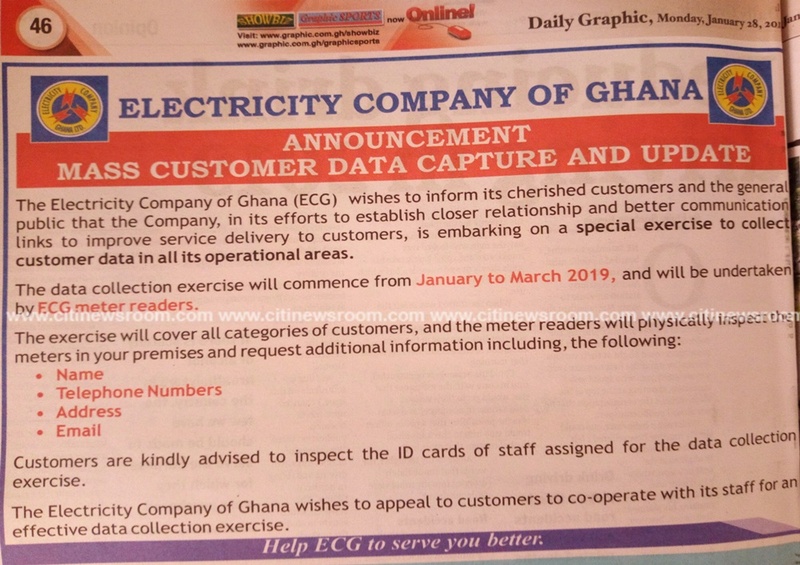 The Electricity Company of Ghana (ECG), is gathering the data of its customers in an exercise which will last from January to March 2019. The data collection according to the ECG, will be done by its meter readers who will collect information such as customer’s name, telephone numbers, address and email addresses. This comes on back of plans for a new company to take over the operations of the ECG. 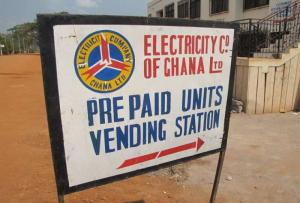 The new entity that will assume the assets and operations of the ECG, Power Distribution Services (PDS) Ghana Limited, is set to take over from February 1, 2019. Meralco Consortium, a Pilipino power company which won the bid to take over the operations of ECG is a major shareholder in PDS. According to Mr. Eson-Benjamin, the main aim of the PDS is to invest and block leakages in the system. The post ECG embarks on data collection of customers ahead of takeover appeared first on Citi Newsroom.